PROMO CODE : TONIC Book me a room.. 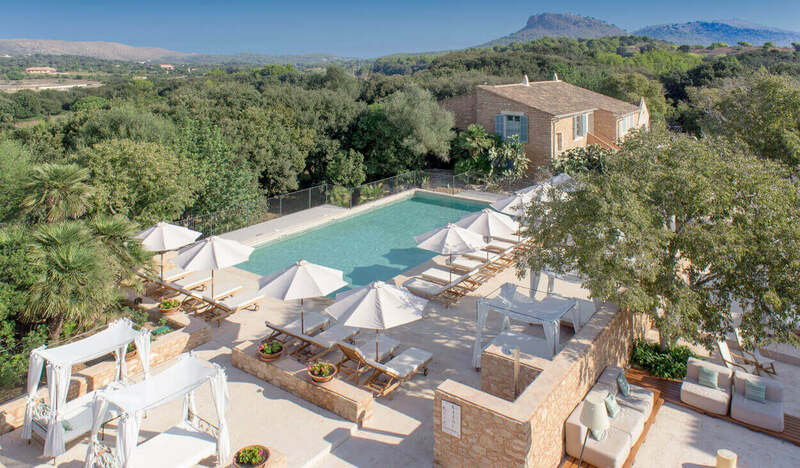 Located in the countryside in the North East of Mallorca, Predi Son Jaumell Hotel Rural is true haven of peace and tranquility. The estate, dating back to the 17th Century, has been lovingly restored and enhanced to create a stunning rural idyll. Just north of the historic hilltop town of Arta and minutes from some of Mallorca´s stunning sandy beaches, its location is hard to beat. On your arrival at the finca, you are greeted by the welcoming sight of the blue-green shutters and terracotta pots overflowing with blooms and inside a bright and light reception area adorned with heavenly furnishings of beige and cream sofas, hand-blown glass pendant lamps and an extensive collection of Mallorquín modern art. 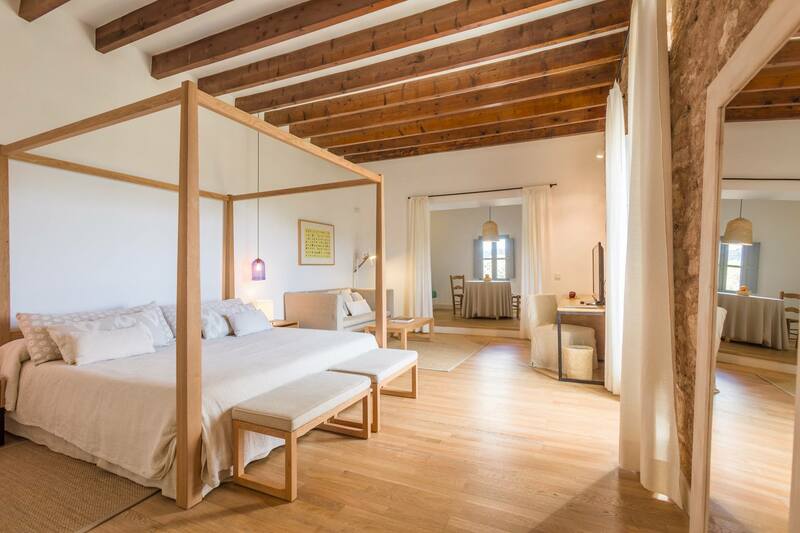 Each of the 24 suites are generous in size and have been decorated individually in light and minimalist white sandstones and rustic fabrics and furnishings. There are several room categories, such as Juniors Suites with or without garden, Grand Suites with or without terrace and four rooms that are so unique they are often requested by their room number 3,9,15 and 25. As a low season luxury traveler I would plump for one of these! Room 9 for example offers uninterrupted views from the terrace of Capdepera Castle and Room 25 is a cosy casita set away from the main house in which to truly escape (pictured below). Take a leisurely wander around the grounds , savour the countryside views and visit the ancient chapel which, also doubles as a studio for the complimentary yoga sessions hosted three times a week. If just chilling is your thing, take up a position on a sunbed by the pool ( which is heated March to May and October to November – a real bonus for early and late season travellers). So no excuse for not getting those lengths in! Pride Son Jaumell allows you to relax in an unhurried atmosphere complemented by the attentive staff for whom nothing is too much trouble. Predi Son Jaumell is all about the location. From the terrace, you can enjoy views of the glorious countryside and the medieval castle of Capdepera. There is a direct path you can take on foot from the finca to the gorgeous beach at Cala Agulla just 20 minutes away. Or hop on a free bike and cycle to the beach down quiet country lanes and take a dip in the sparkling blue sea. Surrounded by almond groves, the peace is broken only by the tinkling of goat bells to help send you off to sleep at night. 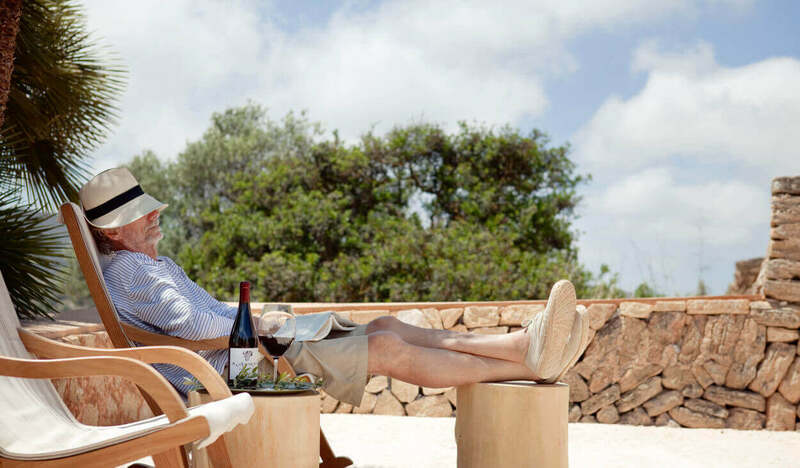 Michelin – starred chef Andreu Genestra is passionate about Mallorcan food and has his signature restaurant at the hotel. 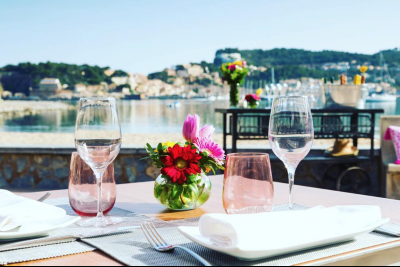 Cuisine of the calibre of Restaurant Andreu Genestra would normally be associated with big city locations but not so in Mallorca. A truly memorable gastronomic experience awaits you right with just a few steps from your hotel bedroom. The hotel also offers a second more relaxed restaurant, Senzill to tempt you. 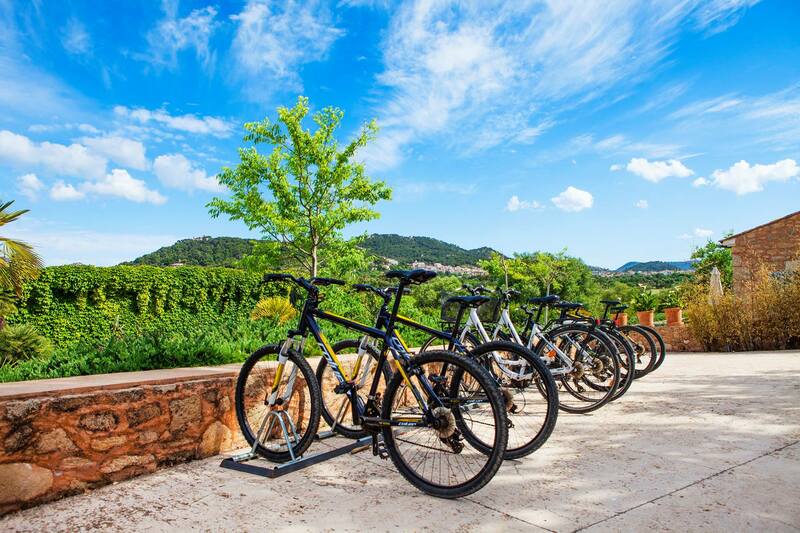 Lucky the pool and bikes are at hand to help work off any indulgences! Breakfast which is included in the room rate is served either inside or outside on the terrace between 08.30am - 10.30am. You can enjoy a wide selection of fruits juices and homemade breads as well as a hot á la carte menu. 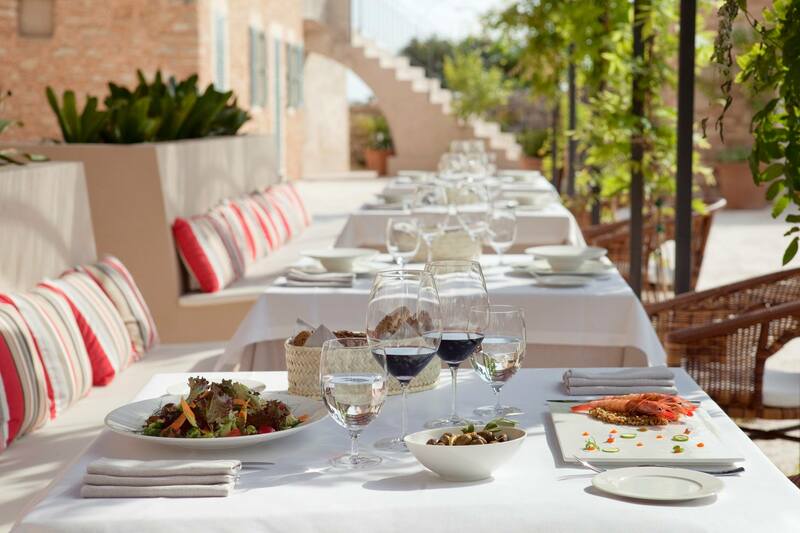 Restaurant Senzill located on the terrace by the hotel pool open from 12.30pm to 11.00 pm and perfect for families. Restaurant Andreau Genestra is open in the evening for adults only, offering a selection of 5, 8 and 10 course tasting menus starting at €58.00 per person. Each of themes can be paired with wine for an extra charge. More Details Book me a room..